As a pastor, I love to preach and teach God’s Word. I enjoy the preparation process, the development of ideas, and the proclamation of the Word. But I also enjoy hearing the truth of God through song. Preaching is a primary component to the Lord’s Day, but it’s only one part. The psalmist proclaims, “Sing to the LORD, praise His name; proclaim His salvation from day to day.” (Psalm 96:2). 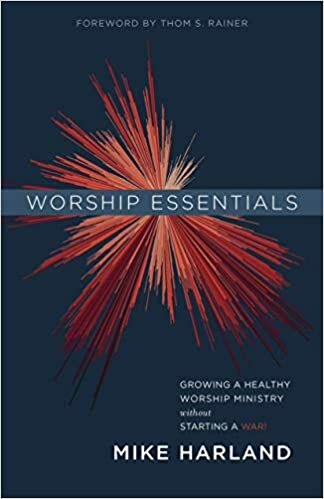 As pastors, I’m sure we’ve all heard the question, “is your church contemporary, traditional, or blended?” It assumes contemporary worship is aimed at the younger generation while traditional worship is for older folks. However, I believe there are a few practical and theological reasons why a church can incorporate hymns into its worship service. Part of the beauty of hymns is that they’re simple and easy to learn. Hymns can be sung without music or brought to life with a new arrangement. A hymn such as Victory in Jesus or There is a Fountain allows the individual singing to experience the simplicity of the message rather than being overwhelmed by the style. Let me nuance; I’m not against a particular style. I enjoy good music (I’m a musician). But if the style obscures the message, we have an issue. The fact we still sing hymns from centuries ago is a testimony of their sustaining power. We pass them down through generations. I remember a few years ago one of the younger students in the church was practicing Amazing Grace, a hymn published in 1779. It’s a beautiful thing when multiple generations sing songs that pre-date them by centuries. I think about the book of Psalms as being the hymnbook of Israel. The Psalms were conserved through the generations for the people of God. Additionally, I believe the hymn is something to be conserved within the church. Hymns have a way of moving us out of the now and into the long line of faithful saints. Dare I say there’s a continuity of theological reflection being passed down as well. I maintain that singing hymns can be a means of catechesis. If we uphold the ancient creeds and confessions of the faith, then why wouldn’t we declare the rich theological reflection of the hymns as a means of personal spiritual transformation? This isn’t to say modern worship songs don’t function in the same way. Hymns, however, can profoundly inform a worshipper in rich theological reflection and engagement. This is also seen in William Cowper’s hymn, God Moves in a Mysterious Way, as he speaks about the sovereignty of God amidst suffering. The intention is simple: these songs function as a means of catechetical theological reflection, rehearsing the great truths of the Christian faith. 4. Hymns Tell a Story. 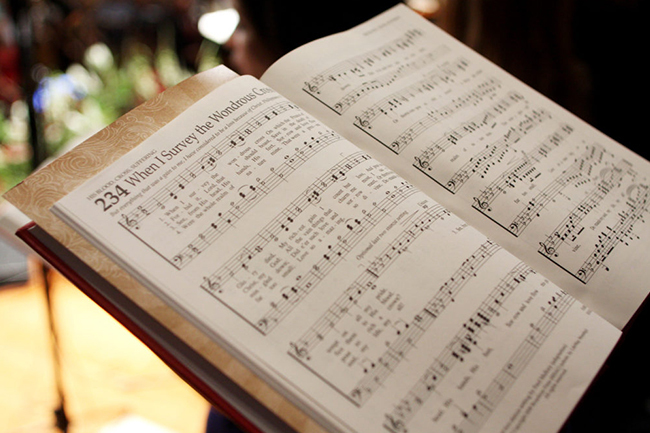 One of the major reasons hymns are important is because they tell a theological story. Most modern worship songs are broken down into a typical format (intro, verse, chorus, verse, chorus, bridge, chorus, outro). I’m not against repetition as I believe it aids a person in learning truths. But a hymn is typically arranged with a series of forward-moving lines with a simple refrain (if the hymn even has this). These lines tell a story. Take for example Amazing Grace by John Newton. Newton’s original lyrics contain a series of six stanzas. Hymns have a narrative movement. They tell a story we can embrace and live. God is glorified by congregational singing. As Paul states, “so that you may glorify the God and Father of our Lord Jesus Christ with one mind and one voice” (Romans 15:6). The explosion of hymnbooks in the 1700s proves that hymns were intended for the corporate worship gathering. Hymns are written in such a way to allow for the entire congregation to join into the corporate voice of worship. Even if a member “can’t sing,” their voice is incorporated in the one voice of the congregation. As a pastor, there are times when I stop singing so I can hear the congregation with their various voices expressing one voice of praise to God. Being trained in music, I understand why hymns are so beautiful. But for the person who isn’t trained in vocal arrangements, they can still experience the one voice of worship. This is the beauty of the hymn. I’m praying for the resurrection of the hymn. I might be naïve or old fashioned (at age, 30, I’ll claim both), but I believe the sustainability of old hymns is evidence of the powerful truths they contain. Hymns reach the affections, they stir the mind, and they move the will. While your ministry context will help dictate how this looks in worship, a good way to introduce hymns is by incorporating new ones like In Christ Alone. Again, this article isn’t a rejection of modern contemporary music. It’s a call to embrace the songs of the past. I encourage you to regularly sing the songs of the saints who came before us. Michael Cooper (@M_Coop24) is the husband of Kailie, father of two daughters, pastor of Grace Community Church in Mabank, Texas, and author of Identity Crisis. Maybe we could bring the choirs back too! They provided not only a means of service for the choir members but brought about a cohesiveness in the congregation! Thank you for a well thought out defense of hymns. They certainly teach doctrine and for them I’m extremely grateful. If God has His eyes on the sparrow you can be sure He has His eyes on you and me! !